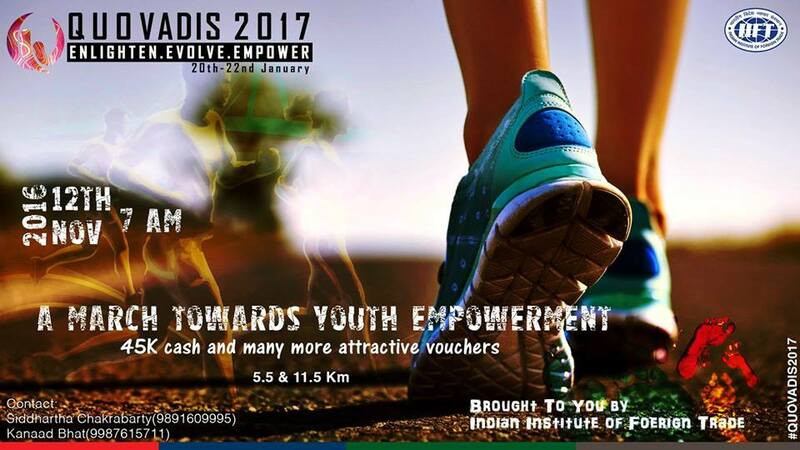 IIFT Marathon 2016, is an initiative taken by the student fraternity of Indian Institute of Foreign Trade as a part of its annual management and cultural festival, QuoVadis. The vision is to spread awareness about the need to empower the huge young demographics of India. The event consists of 2 races (both races have men and women category)- 11.5 Km and 5.5 Km. Please feel free to fill the EOI for attending the event. Spot registration is also allowed. Cash prizes worth Rs. 45k and attractive vouchers to be won.